After two months, the time finally came to leave Lima. 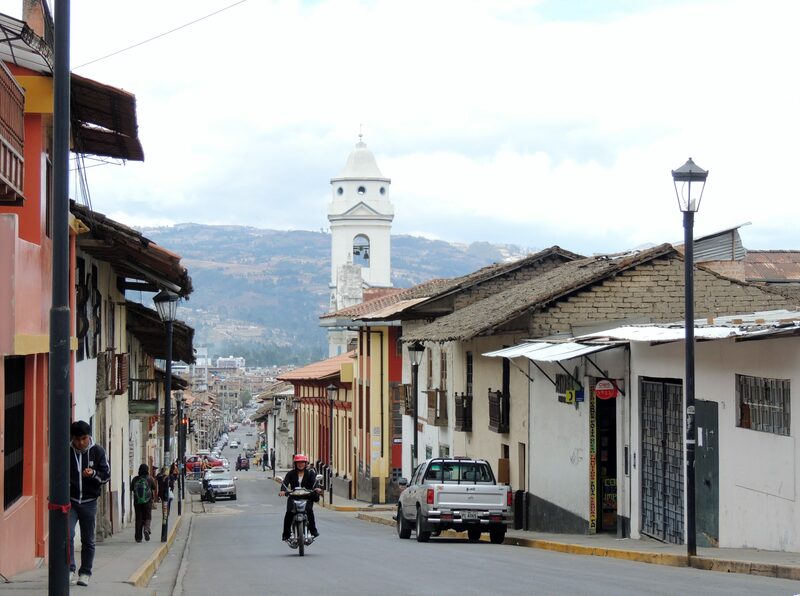 I travelled up to Cajamarca on an overnight bus journey lasting more than fifteen hours. The journey was not unpleasant – for me anyway, as I slept fairly well. I don’t doubt that my sleeping must have annoyed the other passengers. I soon got settled into my hotel, the cheap but cheerful, Hostal Giraflores, which is more comfortable than the penthouse in Lima. 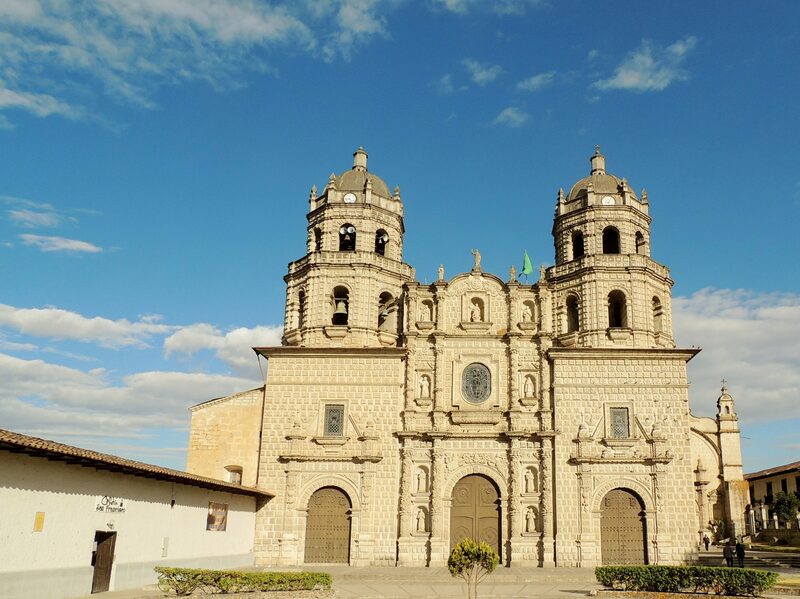 Cajamarca is famous for being the place where the Spanish conquered the Incas but it is also blessed with being surrounded by natural beauty. In the ten days that I will spend here, I hope to see as much as possible. At first look, the tour prices seem reasonable so I may rely on them rather than find my own way around. Except of course, for the city itself, which I have already been exploring on foot. 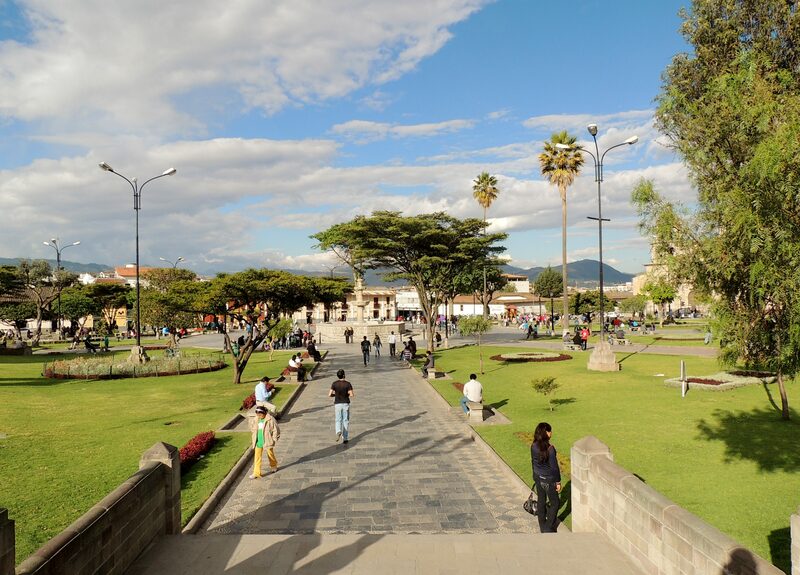 The Plaza de Armas was a good place to start. 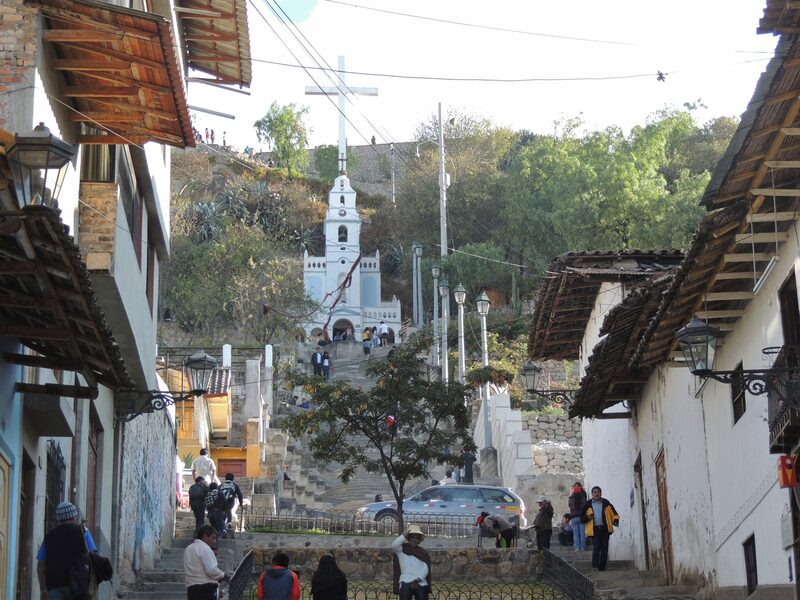 The church of San Francisco. 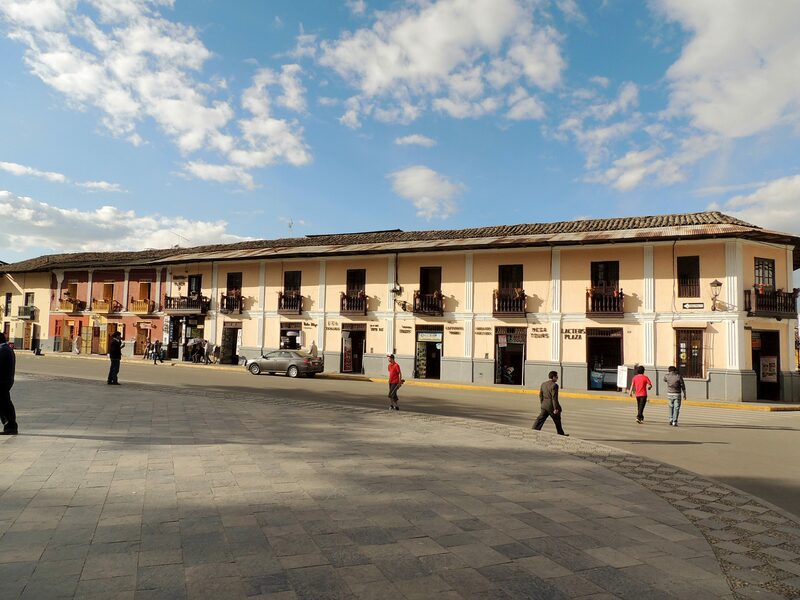 All of the tour operators and money changers seem to be in or close to the Plaza de Armas. There are some steep hills but I feel happier walking here than I did in Lima. It certainly is more tranquil. 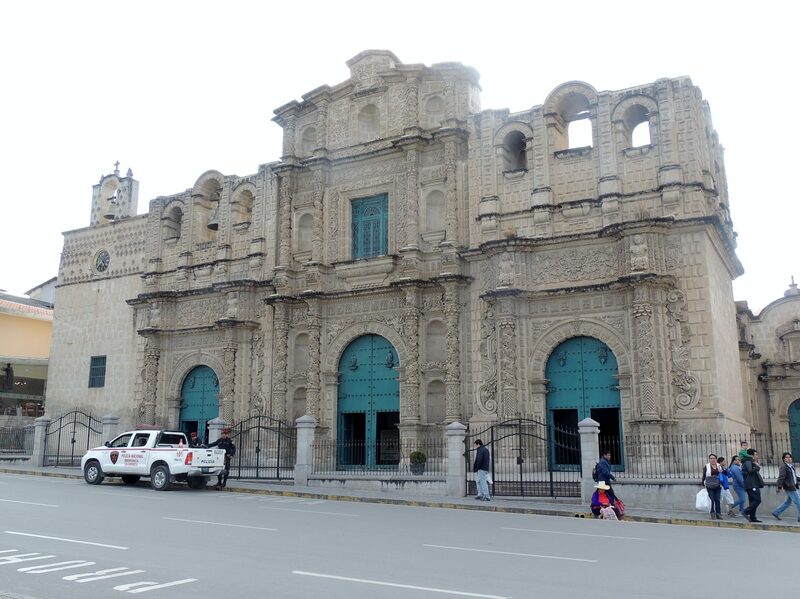 This entry was posted in Recent Activity and tagged Cajamarca, El Cerro Santa Apolonia, Incas, Lima, Peru, photographs, Plaza de Armas, South America. Bookmark the permalink.